The web can be a great resource but you may also find that it is full of contradictory information overload. Like you, I have found that reliable information on fish health, disease and medicine is difficult to come by and is at best, fragmented. This is why I have published two essential books on aquatic veterinary medicine. So if you’re serious about fish health, these are two indispensible texts on fish you must have at your fingertips! Fish Health Professionals – Land the Catch of the Year! 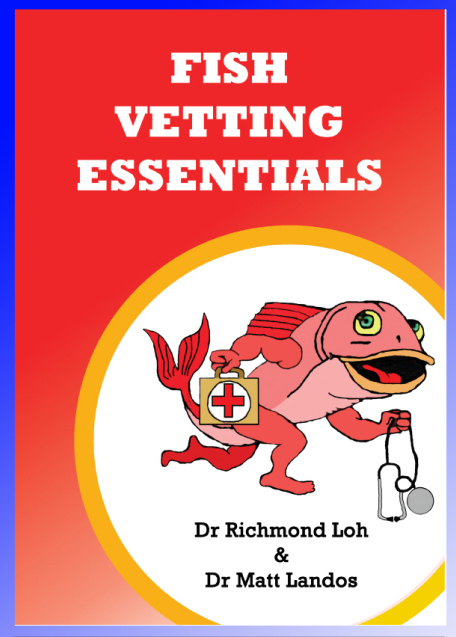 Fish Vetting Essentials is a comprehensive resource that incorporates elements of fish keeping, clinical medicine and fish pathology in a readily digestible form. how to treat fish diseases using drugs available in standard veterinary clinics. Check out the book reviews on The Fish Vet’s Facebook Fanpage. View sample pages here – eFishVetEssentialswLinks. Previous Post Fish Vetting Essentials – what’s in the book? Dr Loh explains on YouTube.